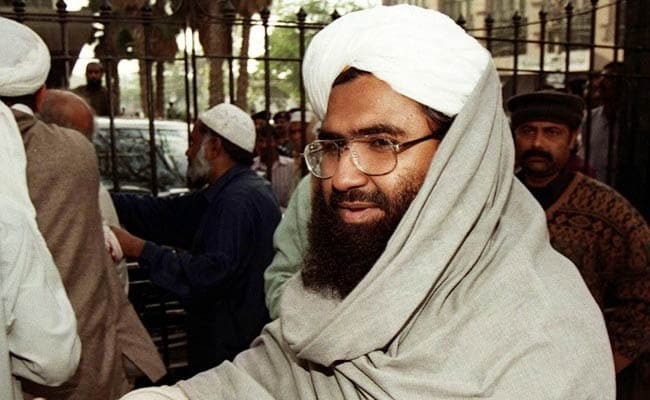 Banned terror outfit Jaish-e-Mohammed (JeM) continues to air its messages of hate despite Pakistan’s promises of action after the Indian airstrikes on Balakot, NDTV has found. JeM weekly Al Qalam is still accessible online, and features over 250 articles penned by Sa’adi, said to be the pen name of outfit chief Masood Azhar, the mastermind behind the Pulwama terror attack. The continued presence of Al Qalam, which mentions Rawalpindi as its office address on the website, exposes Pakistan’s claims of cracking down on terror groups in the wake of Indian airstrikes. “If someone is using Pakistan soil for terror, they are enemies of Pakistan as it is against our interest,” Pakistan Prime Minister Imran Khan had said then, inviting India to the negotiating table. This is not the first time Masood Azhar has criticised India in the journal. On February 20, he had written on how the Pulwama attack was carried out by its “Kashmiri Mujahideen” in India. Al Qalam also carried messages from Masood Azhar’s brother, JeM commander Abdul Rauf Asghar, on multiple occasions. Last April, he had said that students of the Madrassa Ta’aleem Al Quran in Balakot – the training camp targeted by the IAF on February 26 – had first “lit the torch of jihad” in Kashmir. “The youth who rise from this madrassa (in Balakot) have broken the arrogance of the mountains of Kashmir and lit the torch of jihad there, and they will – God willing – continue to keep it alight,” Abdul Rauf Asghar was quoted as saying. Although JeM was banned by Pakistan in 2002, it remains in operation through a network of proxies.